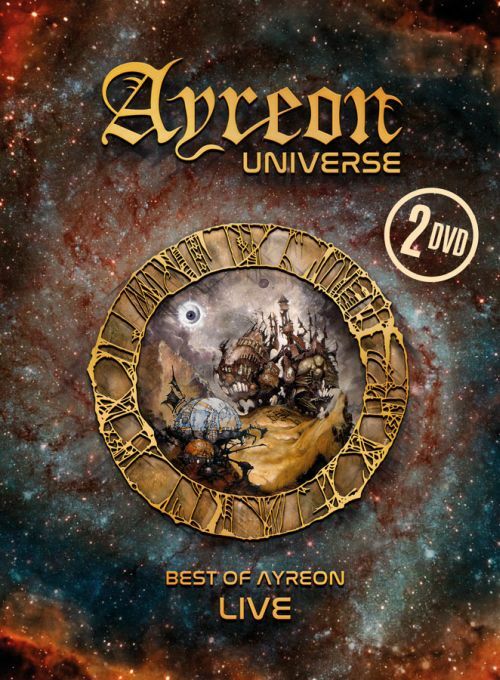 AYREON - AYREON UNIVERSE LIVE (2DVD DIGI) | Online Shop | Wizard LTD. Album: "AYREON UNIVERSE LIVE (2DVD DIGI)"
Two years in the making, Ayreon Universe is a full on rock extravaganza, featuring songs from all Ayreon albums, including 2017’s ‘The Source’, plus a few fan favorites from Star One. An amazing array of singers appeared on stage to bring the Ayreon Universe to life: Floor Jansen (Nightwish), Damian Wilson (Threshold), Hansi Kursch (Blind Guardian), Tommy Karevik (Kamelot), Anneke van Giersbergen (The Gentle Storm, VUUR), Marco Hietala (Nightwish), Jonas Renkse (Katatonia), Mike Mills (Toehider), Marcela Bovio (Stream of Passion), Irene Jansen, Robert Soeterboek (Star One), John Jaycee Cuijpers (Praying Mantis), Edward Reekers (ex-Kayak), Jay van Feggelen, Maggy Luyten (Nightmare) and Lisette van den Berg (Scarlet Stories). This is the show every Ayreon fan has wanted to see and hear!